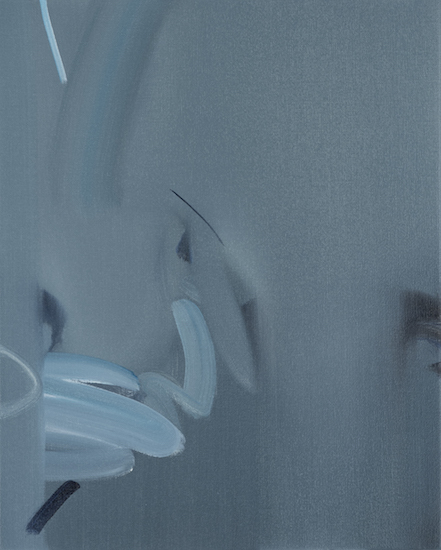 Yavuz Gallery is pleased to present The Space Between Here and There, Australian-artist Julian Meagher’s first solo exhibition with the gallery. 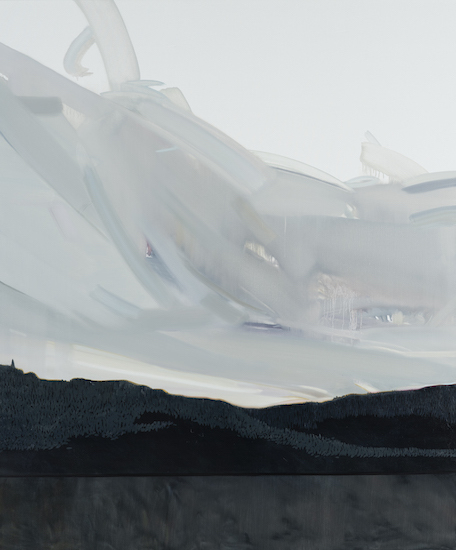 Meagher’s new series is unashamedly Romantic—it seeks to chase, and then pin down, moments of beauty in the landscape. 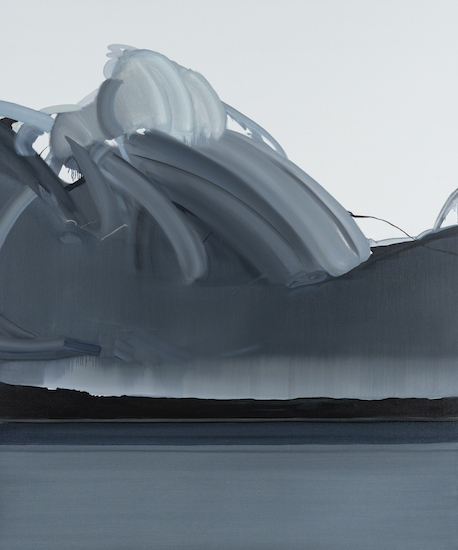 But Meagher is also reconfiguring the features of traditional landscape painting. 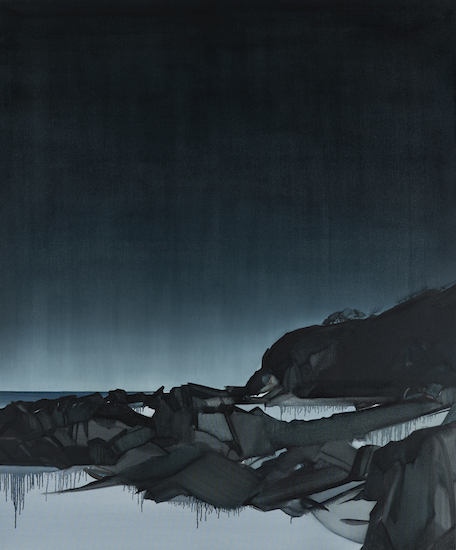 That is, rather than presenting a realistic scene or pastoral view, Meagher instead pares back and removes detail. 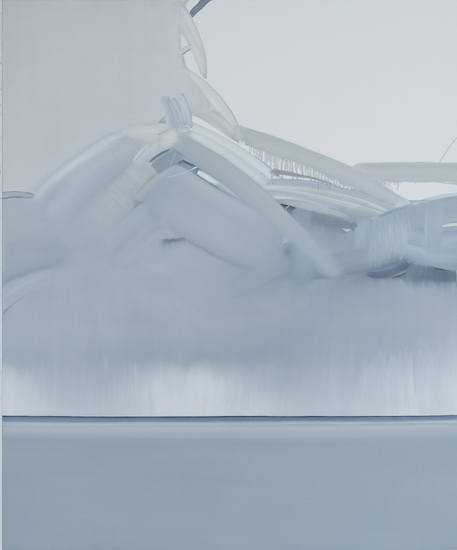 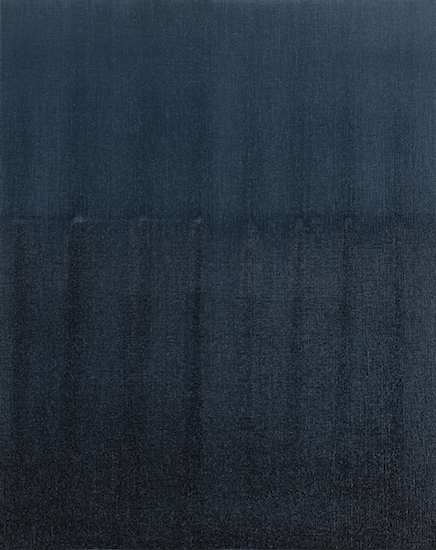 The result is a series of works full of minimal marks and compressed gestures: these are brushstrokes that intimate or imply scenes, rather than providing them in their entirety. 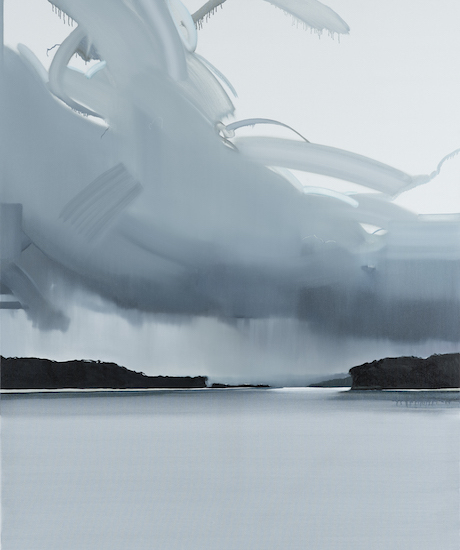 Depicting the east coast of New South Wales and Tasmania, Meagher’s works sit resolutely in the in-between: they are abstract and realistic; they are landscapes as well as portraits; they are urgent in their desire to catch a single instant, but also imbued with a sense of stillness and calm. 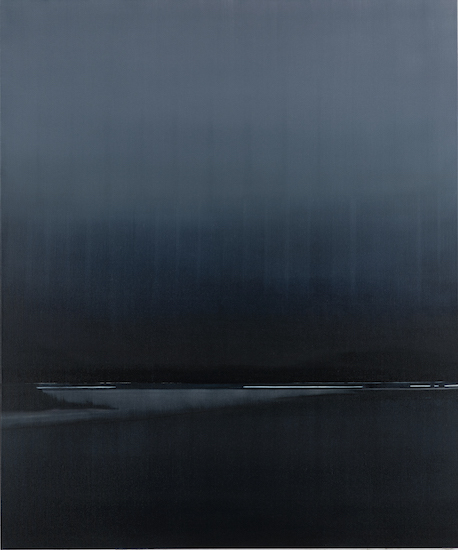 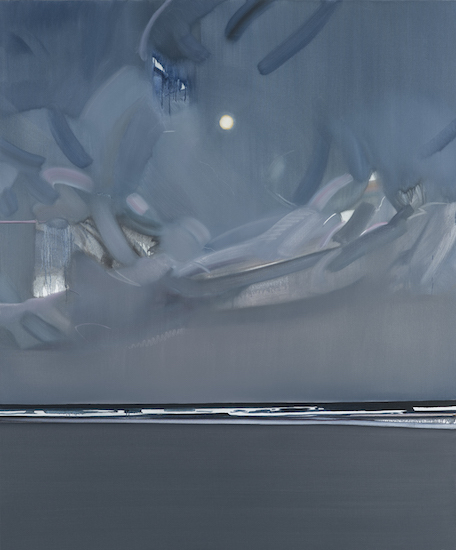 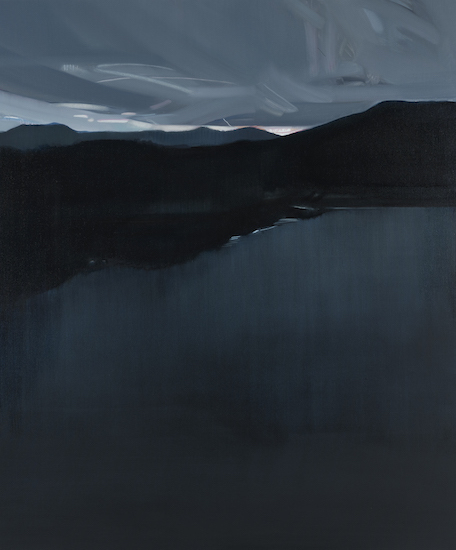 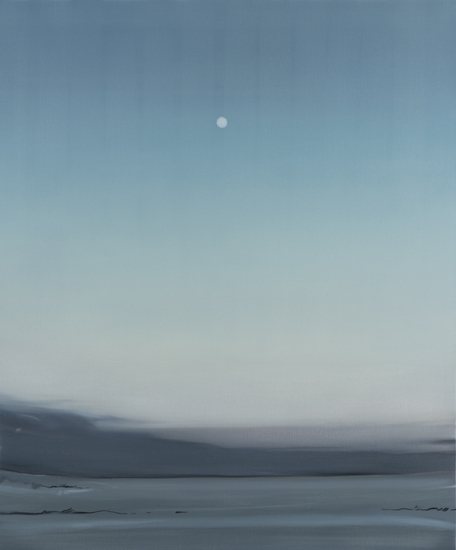 ‘I am convinced that the first lyric poem was written at night,’ writes the poet Mary Ruefle, ‘and the moon was witness to the event and that the event was witness to the moon.’ The moon exists in Meagher’s paintings as just such a silent witness—a steady orb that does not change, even as the water shifts and moves beneath it. 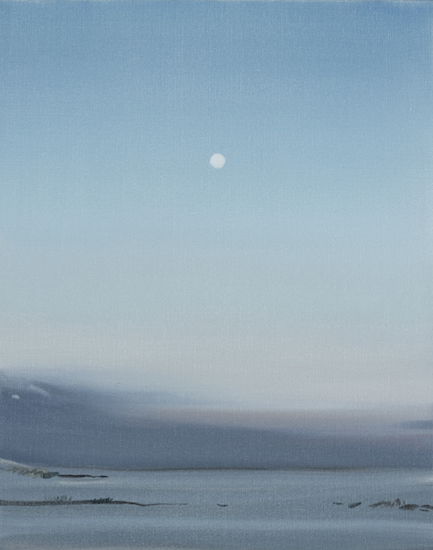 It is the moon, and all the references it carries with it (the changing of the tides, the cycles of time, melancholy, longing, and comfort) that unites this series. 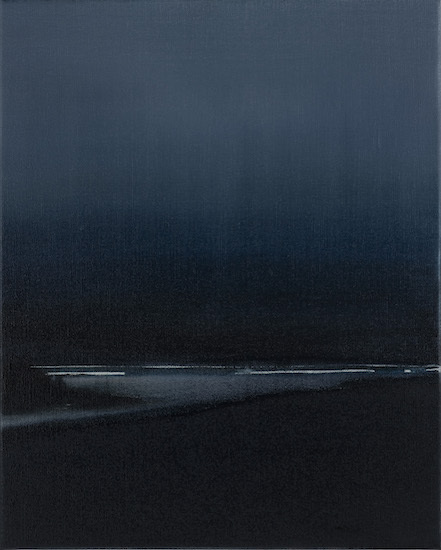 It’s the moon’s presence as mute observer that offers the feeling of stability in this painted space, a space which is not here, and not there, but in between.